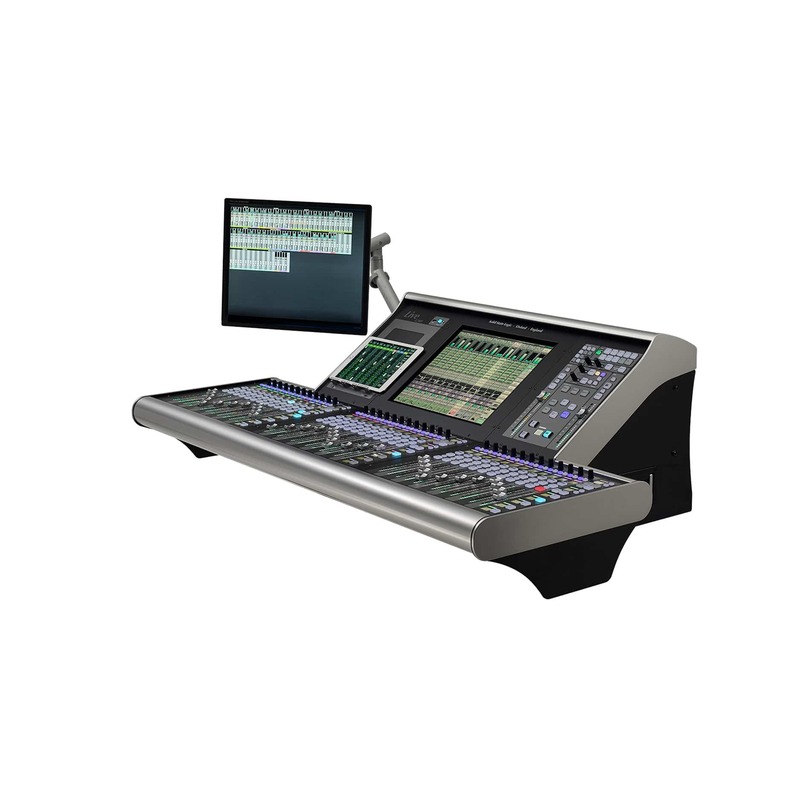 Product code: 72A022400 Category: Mixing Desks. Since thier introduction in 2013 SSL Live consoles have met widespread praise from many of the world’s leading live engineers. At ProLight+Sound 2017 SSL released the L200, a new mid scale console that brings the superb sound, accelerated workflow and advanced feature set of SSL Live to a new level of affordability. SSL Live consoles are designed to help highly skilled operators deliver outstanding performances in the most demanding applications in Touring, Installation, Houses Of Worship and Theatre. Like all SSL consoles the secret to the success of the L200 is SSL’s dedication to great sound. Part of the success is attributable to exemplary hardware performance throughout the signal chain: bringing SSL Studio grade mic pre’s to the stage, outstanding audio conversion, 96kHz operation and magnificent summing. There is a sublime transparency, definition and detail in the fundamental sound of the L200 that is difficult to describe but is immediately recognisable as the SSL signature. An equal, perhaps even greater part of the secret of the power of the L200 is however the way it enables operators to perform at their very best. The deceptively simple ergonomic excellence of the combination of multi-touch screen control with assignable hardware controls, the use of colour coding, the open architecture which lets engineers configure the console layout to suit their own way of working, the arsenal of processing options, the precision and depth of those processing tools… and so much more… it all combines to let the operator get where they can hear they want to be extremely quickly. Like all great creative audio technology, SSL Live consoles are instruments for engineers. Live consoles are powered by Tempest, a next generation digital audio platform developed specifically to meet the demanding requirements of the live environment. Learning from more than 25 years of digital console development, Tempest is a ground up development. All legacy code – the key to the sonic excellence of previous generations of SSL digital consoles – has been rewritten in the latest software languages. The high capacity signal processing engine at the heart of Tempest uses SSL’s patented Optimal Core Processing (OCP) to deliver highly efficient and reliable performance with minimal latency. Tempest delivers all of the power required to equip Live with all of the mixer architecture, processing power and connectivity to handle large scale events. The Live signal processing engine is integrated entirely within the control surface.